The General Data Protection Regulation (GDPR) is the new data protection regulation from the EU, released in May 2016 with an implementation date of May 25, 2018. The GDPR takes data protection to an entirely new level, itis difficult to overstate the importance of the GDPR. Will impact almost every organization that is based in the EU, as well as every organization that does business in the EU, even if based abroad. 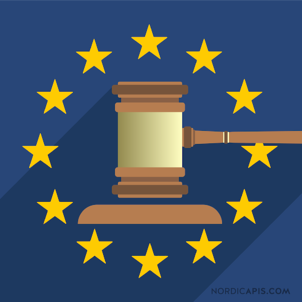 The GDPR dramatically increases the maximum penalties for non-compliance to the greater of €20 million, or four percent of worldwide turnover—numbers that are specifically designed to attract C-Suite attention. It imposes tighter limits on the use of personal data; and it gives individuals more powerful rights to enforce against organizations. Satisfying these requirements will prove to be a serious challenge for many organizations. Based on examples from the United States, companies forced to report data breaches to their customers suffer reduced profits, lower stock prices and job losses at the executive level. The GDPR add substantial fines to these risks and the rules have teeth. 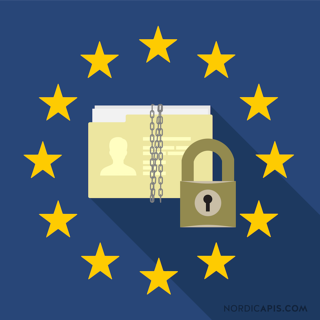 If you process the personally identifiable data of EU residents, you need to put in place effective additional security measures and get ready to comply. "Any business with data in the cloud needs to take adequate precautions and controls. If someone else is processing your data the risks of GDPR exposure are huge. Even if it's encrypted at rest, when it's processed it gets decrypted and can be accessible in many forms - in memory, logs, cached, temporary storage, or search results." Because CloudMask with Dynamic Data Masking (DDM) encrypts sensitive data, the application satisfies the GDPR requirement for technical data protection measures. When a data breach exposes your data, it will be unintelligible to the unauthorized individual and you will not have to notify the subjects of the data breach. Some of your customer data may be in databases in a structured format but you may also store unstructured data such as emails. CloudMask can encrypt many kinds of data, both structured and unstructured, and makes sure that personally identifiable information is encrypted wherever it might be found. To satisfy the evaluation requirements of the GDPR, CloudMask generates detailed security event logs that record an auditable trail of permitted and denied access attempts by users and processes. Such logs can provide an unprecedented insight into file access activities and they can record unusual or improper data access. The logs can form the basis for a Security Information and Event Management (SIEM) system to produce the security reports necessary for GDRP compliance and they can accelerate the detection of insider threats, hackers and the presence of advanced persistent threats (APT) past the security perimeter.